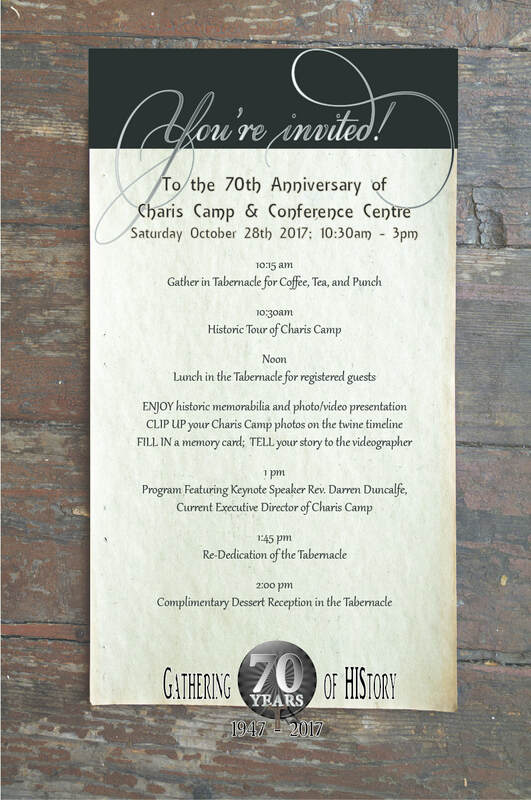 As part of this Anniversary Celebration, we are asking for your help to gather our collective Charis Camp memories from the past 70 years. We would like to encourage you to send in, bring, and share your past adventures in the form of pictures, memorabilia, and stories. During this event, we will have a videographer present to capture your stories, as well as keepsake cards available for you to write about significant moments you have experienced at Charis Camp.